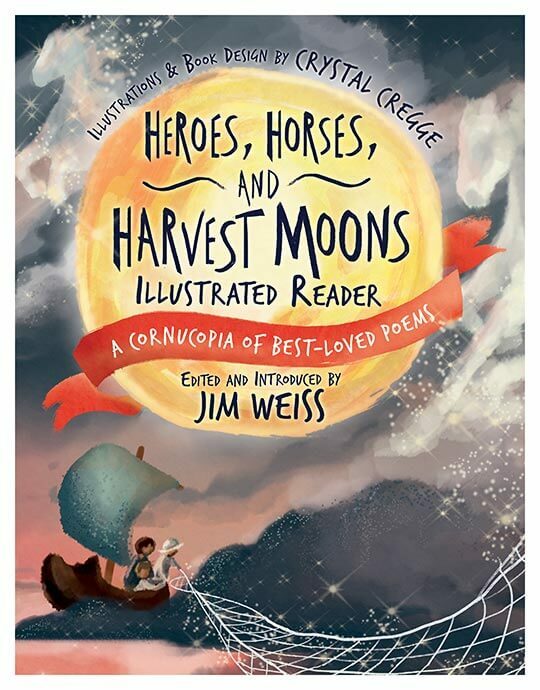 Classic poems about nature, bravery, love, and the wild journeys of the imagination, beautifully illustrated by Crystal Cregge. Includes a brief, child-friendly introduction to each poet. This illustrated book is wonderful on its own, and also makes a perfect companion to Jim Weiss’s audio CD: kids learn language and vocabulary when they follow along with the text and illustrations while listening to the audio performance. Like all of our books, this book is made in the USA from child-safe paper and dyes. Will this be available in a hardcover? I hate to see nice artwork torn up in a paperback. Will this ship in time for Christmas? I pre-ordered on Oct. 4. The books are shipping from our printer to our warehouse now, and we expect the pre-ordered copies to be headed to customers by December 2nd.